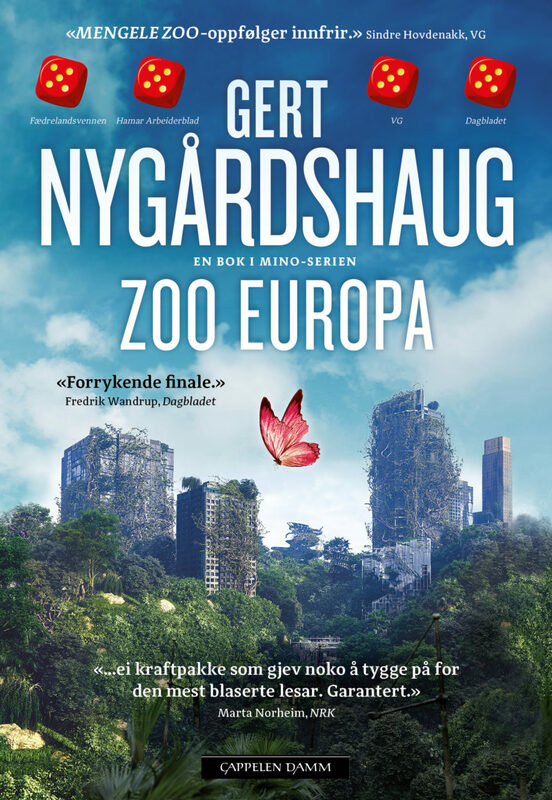 ZOO EUROPA is a stand alone novel with the same characters as in Nygårdshaug´s earlier eco thrillers, known as the Mino trilogy (450 000 sold in Norway) and Chimera. We are in Europe 40 years in the future. The world is ravaged by ecological and political collapse, and both in the United Kingdom and on the rest of the continent, there are civil war-like states between neo nazis, fascists and groups of radicalized climatic refugees that have escaped to Europe from their inhabitable homelands. In a dystopian London, with no working infrastructure as we know it from present times, Norwegian Karl Iver Lyngvin is located. He is fleeing not only from the fatal environment he is in, but also from a mission and a woman he has failed. Somewhere in the English countryside he meets the eccentric Lilith Larkindale, and together they start a long and dramatic march through England…They are not the only people walking- and they are all aiming for the same goal. A book full of dizzying thoughts, references and knowledge that makes it brilliantly contemporary. Nygårdshaug will be praised for crowning his the work with this unruly, ambitious, well written and deeply engaging novel. I think it will have many readers. Zoo Europa is a powerful novel which gives even the most blasé reader something to chew for a while. Guaranteed!